The EAIS 6th Annual Conference on Israel Studies will take place from Sunday, 10 September to Tuesday, 12 September 2017 at the University of Wroclaw. The conference organisers welcome all proposals, including suggestions for panels, which are pertinent to Israel Studies and the theme of the conference. Read the Call For Papers on our website. Wroclaw is a beautiful medieval city in the Silesia region of Poland. You can read more about it on our Conference page. 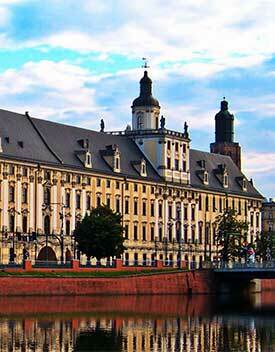 There are budget flights from many countries direct to the international airport at Wroclaw. Connections are also available through Warsaw. There are good rail services. The EAIS will offer a limited number of travel and accommodation stipends to enable postgraduate research students and junior faculty who are EAIS members to attend the conference.